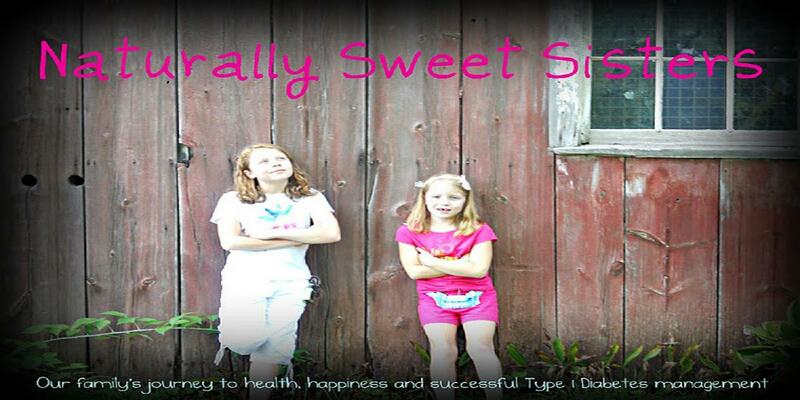 Naturally Sweet Sisters has teamed up with Bitter-Sweet to participate in the 2014 Diabetes Blog Week. From Bitter-Sweet, Monday, May 12th: Let’s kick off Diabetes Blog Week by talking about the diabetes causes and issues that really get us fired up. Are you passionate about 504 plans and school safety? Do diabetes misconceptions irk you? Do you fight for CGM coverage for Medicare patients, SDP funding, or test strip accuracy? Do you work hard at creating diabetes connections and bringing support? Whether or not you “formally” advocate for any cause, share the issues that are important to you. When Naturally Sweet Sisters was conceptualized in 2008, it was as a way to help propel JDRF fundraising for our aptly named, 'Naturally Sweet Sisters' walk team. Before that, we were known as 'Livy's Loved Ones'. When the second diagnosis occurred, we knew that we had to up our efforts even more. Around the same time, I also became an official mentor for newly diagnosed families. Between the families that I friended at our JDRF gatherings as well as my newly assigned mentor families, a common theme of how isolating and negative this disease could be surfaced repeatedly. As I would mention different challenges and our family positively overcame them, it seemed like a logical step to begin writing our stories down. My small hope was in hearing of what we were personally going through, no family would ever feel alone or defeated. Unintentionally, I became an advocate for an inclusive Type 1 Diabetes life. At that moment, I started using the phrase "Kids First, Diabetes Second". Through our years of living with Type 1 Diabetes (entering our 8th year! ), we have navigated toddlerhood, elementary school and currently are in the throes of, middle school and junior high, all the while, advocating for a positive, inclusive T1d world. It worked too. Some areas of T1d have improved (love being part of real world support groups and virtual support groups) and others have become more of a challenge (still lots of negative news and many sad families). Today, with two budding tween/teens in our family, we have found ourselves adding this age group to our positive advocating efforts. For all of these years, we were the ones keeping our children safe (and innocently unaware of the behind the scenes T1d care) by managing all of their care. Now, our efforts are to give teens a voice on the types of care that they need, not just are responsible for. This subtle shift in our thinking has built an audience which also believes in advocating for teens; young people who are old enough to understand what is happening but still too young to be fully responsible for all of it. To me, nothing is worse than hearing disparaging remarks on how horrible a teen has been with their care. So often, the frustration and blame is placed on this group of kids for things gone wrong. While they may start to look like adults, truly their maturity is not at the same growth. Blanket statements of blame can damage a child's self-esteem and worse, potentially create a negative self-fulfilling prophecy. If I have to remind my kids to brush their teeth, than, I know they are not ready to be responsible for site changes, ordering supplies, all carb counts, or keeping journals of blood sugars. There are days when it is too much for me to handle, so how could one expect a teen to take it all on? By no means am I an expert either. This new stage of life is full of emotional highs and lows (pun intended :) ) for all people involved in a teens life - including endocrinologists, teachers, family and friends. Everyone has an opinion on how to fix the situation but the one without the voice is often the teen. To underscore my point, last year, at an endocrinology appointment, our oldest daughter burst into tears after hearing her 8.2 A1c result. After carefully listening to her concerns, we discovered that the tears came from feeling powerless and thinking that despite her best efforts, the 8.2 A1c felt like a failing grade. Through some creative thinking, our daughter created a question and answer sheet for teens to fill out before going into the endocrinology appointment that provided a better review in their own words, of how the last three months had been - in that way, handing back more control to the teen over the situation. Will it solve her A1c issue? No. Not one bit. But does it give her stamina to continue to live with a chronic disease that requires attention every hour of every day of her life? Absolutely. We also upped our involvement once again with JDRF. 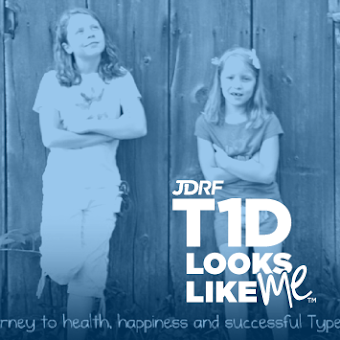 Not in the traditional fundraising way, but in a manner that allowed both girls to have spotlight on the positives of T1d. They participated in volunteering at the GALA, helping with ideas for Kids for a Cure and spending time with other newly diagnosed children as a role models in managing T1d. As a mother, I am working hard at instilling the belief in both of my children that they are leading the way in this world of T1D and sharing those stories with the world around us. 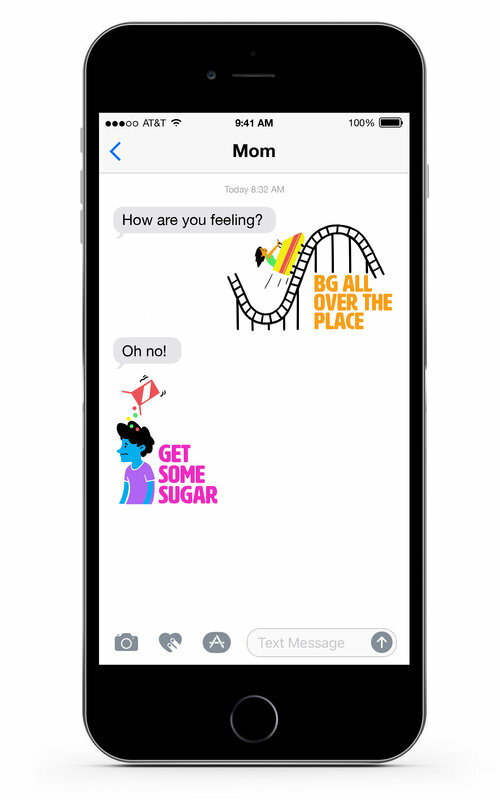 While we still say, "Kids First, Diabetes Second", we are also advocating for our girls and other teens to think, "You Lead T1D and Don't Let T1D Lead You." My hope is that we help a few more teens along the way. You're obviously a great mom! With equally great daughters! As I was diagnosed in my early twenties I never think about the transition from parents having control to the teen taking it on. Thank-you for sharing! I love to see how your advocacy has grown as your daughters have grown. So inspiring. I am a sixteen year old girl with Type One Diabetes. I was diagnosed when I was nine years old, and at first, my mom did almost everything, down to counting my grapes. I started counting my carbs, testing, and doing shots pretty fast though, but my mom still helped me figure out dosing. When I was about twelve I completely took over. I wanted my independence long before I move out. Now I sometimes go days without even mentioning shots or numbers or anything to my mom, and she doesn't usually ask. I've made my Diabetes completely mine, and personally I wouldn't have it any other way. Now, asking my mom to help with a shot or something would feel like asking her to help me dress or tie my shoes. It'd be embarrassing. :p But every teen is different. I am very independent, always have been. I know if my younger sister was diagnosed with Diabetes, she would definitely need reminding and help. She can't even remember to feed the dog. I am so glad that you posted this viewpoint. I think you are right and that everyone is so different. I LOVE, LOVE, LOVE that you embraced taking t1d and making it yours. Your independence is awesome and I think you are a rock star. T1d is tough but I have a feeling that you are giving it a good kick in the behind! Keep up the great job!